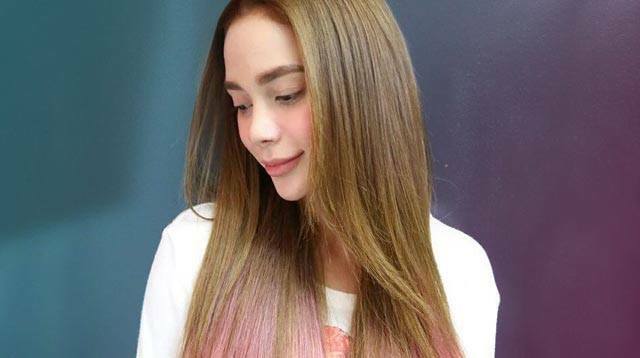 Arci Muñoz's New Hair Looks As Sweet As Candy! She pulls it off really well! Arci Muñoz isn't scared to experiment with her looks. She is often seen wearing unusual lip colors like blue or violet, or sporting dyed locks in mint green or purple. If you want to cop this color, you'd have to get the ends of your tresses bleached first to a light yellow color before tinting it with a pastel pink hair dye (learn everything about scoring rainbow hair here), but if you're not into chemicals, a good shortcut would be to just use a hair chalk.